Do you ever feel like you’re the best-kept secret in town? You know you’re great at what you do, but your website is full of tumbleweeds rather than stampedes! You put up a beautiful site, but you barely get any visitors. 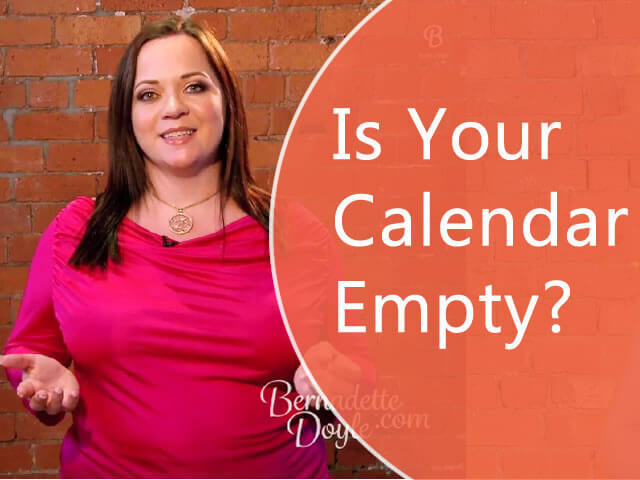 If so, I’m so excited to be sharing “3 Ways to Get Your Target Market to Your Website – A Key Component of Your Marketing Mix” on BernadetteTV this week. Right now, your target market doesn’t know you’re out there … right? Not to worry – they’re about to! You can Buy Traffic, Borrow Traffic, or Create Traffic. If you’re just starting out, creating traffic is the place to begin. It takes more time, energy and creativity, but less money! The key here is to find out where your target market is already hanging out. Then put in place interesting tidbits, bait, or hooks to draw them back to your site. You can do it online – by finding out where they hang out and then posting as a guest on that site. Or you can do it offline, by giving a free talk somewhere and inviting people to sign-up on your site to receive your tips. Then, continually drive traffic back to your website. Second, you can borrow traffic. What does that mean? You find people who have already developed a relationship with people you want to target, and you ask them to send people your way. This is often known as a joint venture or affiliate partnership. Now, you MUST approach potential joint venture or affiliate partners the right way, or they will be unlikely to send their list to your site. So what IS the right way? Explain that it’s complimentary, will benefit their customers, or that it will provide financial payoff for them. Finally, you can buy traffic through paid advertising. Google Adwords and Facebook are 2 different types of paid advertising, each with a distinct benefit. Google Adwords is great if you’re selling something people know they need; something they would be likely to type into a search engine. And Facebook’s pay per click ads are great if you want to target people based on demographics and educate them as to why they need your product or service. One important note: Buying traffic is best to do after you’ve built your list and tested your conversion strategy. So where to begin? With creating traffic. I’d love to hear from you about which strategies sound good for you and your business – or which ones you’ve used so far and what kinds of results you’ve gotten! Leave a comment below! Hi Bernadette, when you are just starting out I think it is really hard to know all the search criteria for your market. For instance I may know I’m looking for groups of women, 30’s-50, professional/ business, with a family but do I know what they read, who they ‘follow’ not yet. Do you have any tips? My plan is to survey anyone that fits the known criteria……good questions might be…….? Would love your input. That music is so cheesy! I would say – don’t worry about it. If you have targeted them on demographics you mention – trying to go even further on what they read, is a touch too far. Certainly when you are just starting out, as you rightly say, you don’t yet know! Do most people actually fill out the “what I read” sections, anyway? CTR on Facebook are low at 1-2%, so don’t stress about creating the “perfect” campaign – just get on and run a campaign! Thanks Bernadette. I love how you made this empowering message simple enough for the beginner and yet powerful enough for those who are not at the beginning stage. 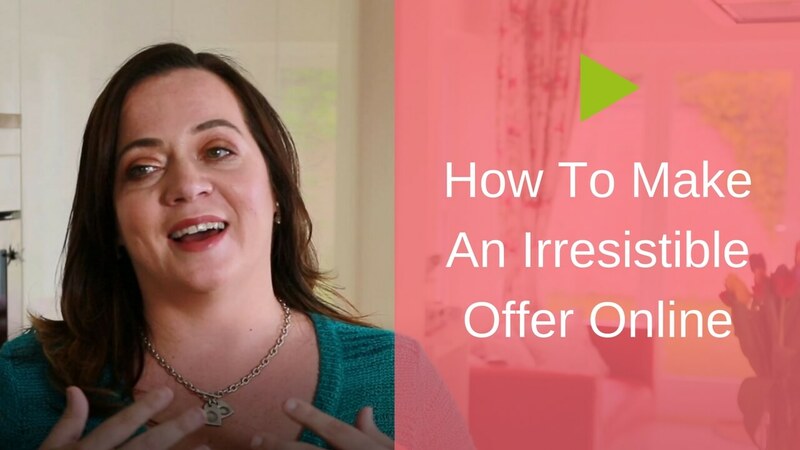 I’ve found FB ads to be very useful once you’re aware of how to use them effectively, however, for those who are not ready to stick their toe in you provide effective options.